In 1999, Maryland had about 85,000 milk cows throughout the state. A single cow can produce up to 8 gallons of milk, consume about 80 pounds of feed, and drink 30 to 40 gallons of water per day. 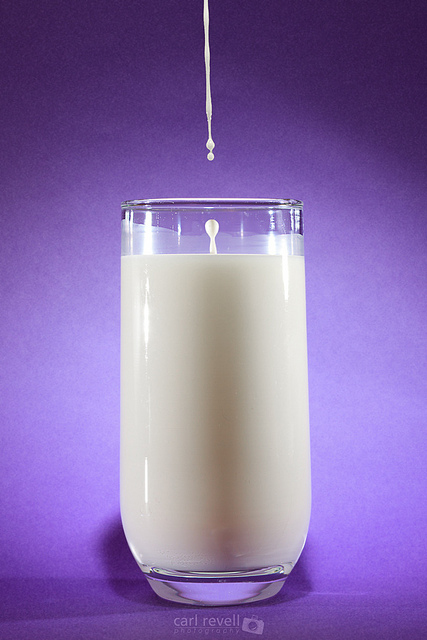 Milked twice a day, Maryland cows produced 1.365 billion pounds of milk in 1999. 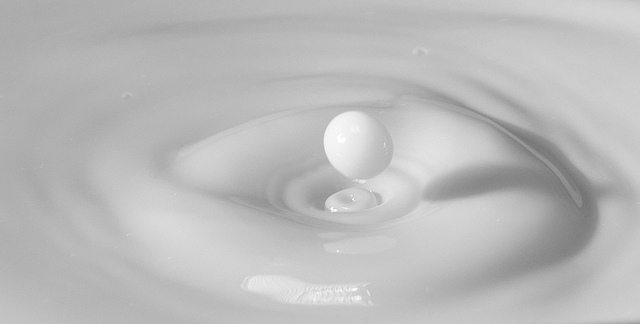 Milk has been called a nearly perfect food - a source of protein, calcium, and several other important nutrients. Only a portion of the milk produced is drank as a beverage, the rest is used for butter, cheese, ice cream, yogurt, milk powder and other processed products. 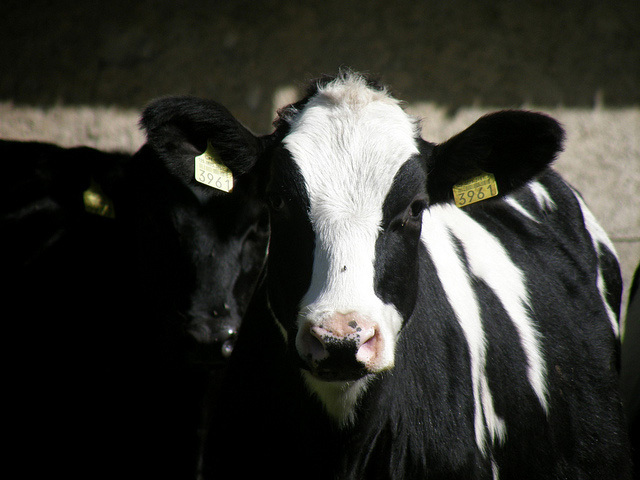 Beautiful Holstein cows; photo by keepps on Flickr (noncommercial use permitted with attribution / share alike).